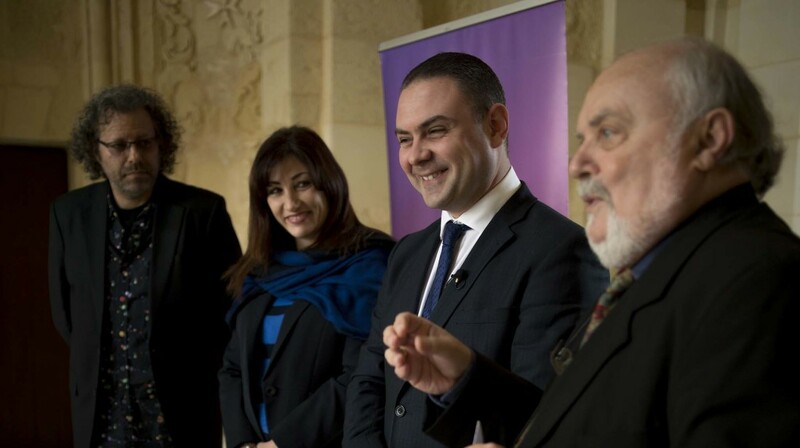 Arts Council Malta announced the launch of the Malta World Music Festival (MWMF), with its first edition being held on the 19th and 20th May at Fort St Elmo, Valletta. At the heart of the Mediterranean sea, Malta has always been at the crossroads of diverse peoples, where the presence of different traditions and influences developed into a colourful and rich culture. It is this beauty of cultural diversity that the MWMF will celebrate – the exchange of people’s customs emerging from different roots and the dialogue and vitality that is borne out of such experiences and expressed through the powerful medium of music. MWMF will seek to expand its identity as a festival in the middle of the beautiful Mediterranean sea while connecting with neighbouring countries and beyond. This was expressed by the festival’s Artistic Director, Renzo Spiteri. “I would like this festival to be seen as a celebration of cultural diversity and a dynamic platform for the exchange and dialogue of artistic ideas, the result of which is expressed so vibrantly through the powerful medium of music. I am very excited to be the Artistic Director for the very first edition of the Malta World Music Festival. A fantastic line-up awaits our crowds this May,” he concluded. The festival promises two evenings of energetic and vibrant music by top-notch artists. This year’s edition of the festival will be opened by Brodu, an alternative Maltese band formed in 2011 who will be launching their second album in the coming months. Playing rock music with influences from various genres, Brodu will bring music in our native Maltese language to the festival. Tsuumi Sound System – an eight-piece Finnish modern folk music band rooted in Nordic folk traditions will follow. Tiwiza – a Franco-Algerian group with a North African tradition based on the notion of solidarity as their name; play a fusion of percussion rhythms, nomad desert blues, powerful arrangements and engaged lyrics. The Khoury Project, a trio of brothers playing contemporary music which combines identifiable Arabic forms with globalized rhythms, will open the second day of the festival. Though faithful to the tradition of classical Arabic music, The Khoury Project have fused it with other genres such as opera, flamenco, Celtic, Indian and jazz, making it dynamic and appealing to different audiences. Sona Jobarteh’s voice, known through her contribution in film scores such as ‘Mandela: Long Walk to Freedom’ will also be heard during this edition of the festival. Apart from her captivating vocals, Jobarteh is best known as the first female kora virtuoso, a usually male-dominated tradition passed on from father to son. She has modernised the presentation of kora music – a 21-stringed African harp – bringing a rhythmic edge to her compositions which are very up to date and fit her remarkable singing. The festival will close with BandAdriatica, a project in which music is created from the encounters and exchange of people and their traditional repertoires, contributing to the continuous development of traditional music and in keeping with the festival’s aim of celebrating cultural diversity. “Originally a folk festival which has now been streamlined, the World Music Festival embraces award winning international musicians and local emerging artists in genres that span from traditional to contemporary. The inclusive nature and elasticity of world music as a musical category may have posed for a festival which did not have a clear identity. However, this year, it has been given a rather tempting new look. It is more fresh, trendy and carefully curated,” said Annabelle Stivala, Director Festivals at Arts Council Malta. The festival, appealing especially to young audiences, will transmit a strong sense of energy, movement and world music flavours. Early bird tickets for the festival will be available from the 4th March to the 15th April, at €10 for single tickets and €18 for block tickets. Normal tickets, at €12 for single tickets and €20 for block tickets will be available from the 16th April onwards. Tickets can be purchased from the Teatru Manoel box office, or online from www.teatrumanoel.com.mt. More information about the festival and participating artists can be found on www.maltaworldmusicfestival.org.